There’s some pretty impressive EDC gadgets out there, but none that really specialize in self-defense. That, however, has changed, thanks to Readyman. Not only is this tool functional, but it was also designed by a Navy SEAL and a Krav Maga expert. This means that it was specifically manufactured to deter attackers. Introducing the Readyman EDC Defense Tool. The EDC Defense Tool is conveniently carried on your keychain, which makes it ready at a moment’s notice. You know, when your fight response takes precedence over your flight response. The hook at the end gives you the ability to use the hammer fist. It’s a powerful downward strike that has enough power to crush a tile or even smash a watermelon. This Defense Tool is guaranteed by Readyman to give you 400% more striking power. This is enough to punch into a bag of cement, or even to crush a watermelon in one blow. Regardless of your training level, this tool makes you twice as effective at self-defense. Check out the video on their page. 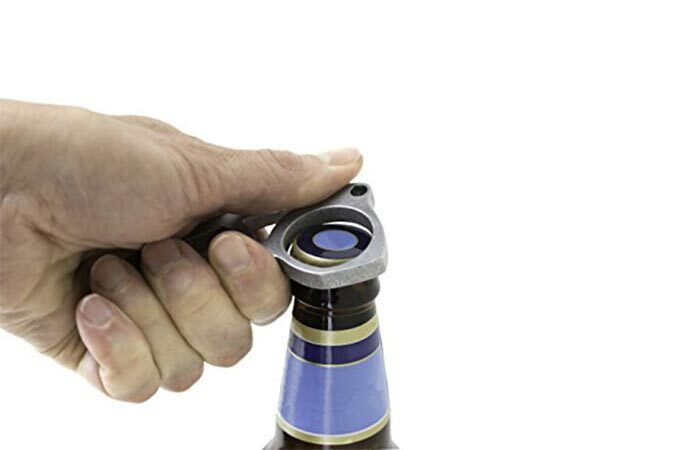 It also comes with a bottle opener so that you can crack that brew whenever you want. 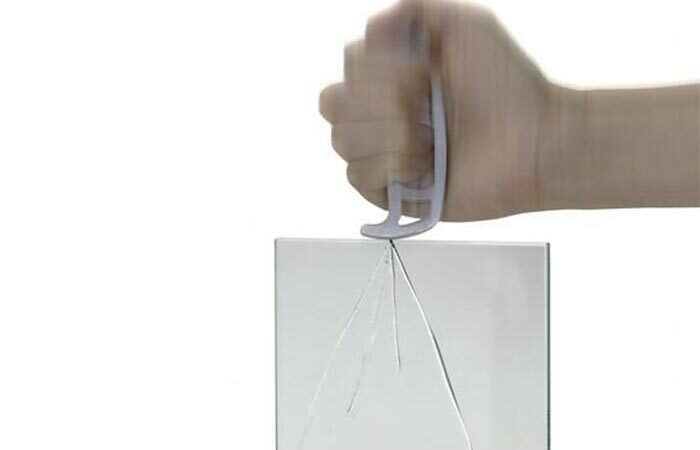 This device works with two punches – standard punch and hammer fist. The hammer fist uses your natural muscular structure to deliver massively impressive and powerful blows that can disable any would-be attacker. Interestingly enough, it also works as a bottle opener. The EDC Defense Tool is constructed out of water-jet cut aluminum allow. It also weighs less than an ounce at 0.7oz. It measures 3 7/8” high and 1 6/8” wide. Besides that, this defense tool is 100% made in the USA.